Set on the private island of Isola delle Rose in Venice, just a few minutes by boat across the lagoon to St. Mark’s Square, the five-star JW Marriott Resort & Spa is the ultimate luxury retreat for meetings, weddings and events. 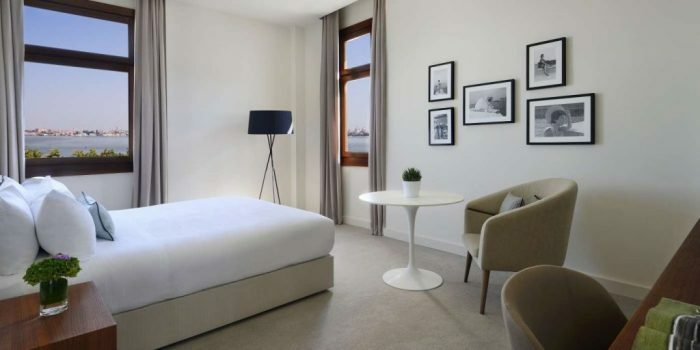 Alongside 266 contemporary styled rooms and dramatic views over Venice’s lagoon and skyline, the hotel offers unique indoor and outdoor spaces that are ideal for events from 10 to 380 people – including 14 meeting rooms, terraces and lush gardens. This offer is valid for bookings in April, October and November 2019, subject to availability and for a minimum group booking of 10 room per night.